A True Story of one Woman’s Journey of transformation. Unplanned is the inspiring true story of one woman’s journey of transformation. All Abby Johnson ever wanted to do was help women. As one of the youngest Planned Parenthood clinic directors in the nation, she was involved in upwards of 22,000 abortions and counseled countless women about their reproductive choices. Her passion surrounding a woman’s right to choose even led to become a spokesperson for Planned Parenthood, fighting to enact legislation for the cause she so deeply believed in. Until the day she saw something that changed everything, leading Abby Johnson to join her former enemies at 40 Days for Life, and become one of the most ardent pro-life speakers in America. Unplanned is the most important movie you’ll ever see on the most controversial issue of our time. No matter which side of the fence you’re on, no one will leave this film unmoved. Wed., March 27th at 7:00 pm or Friday, March 29th at 7:00 pm. 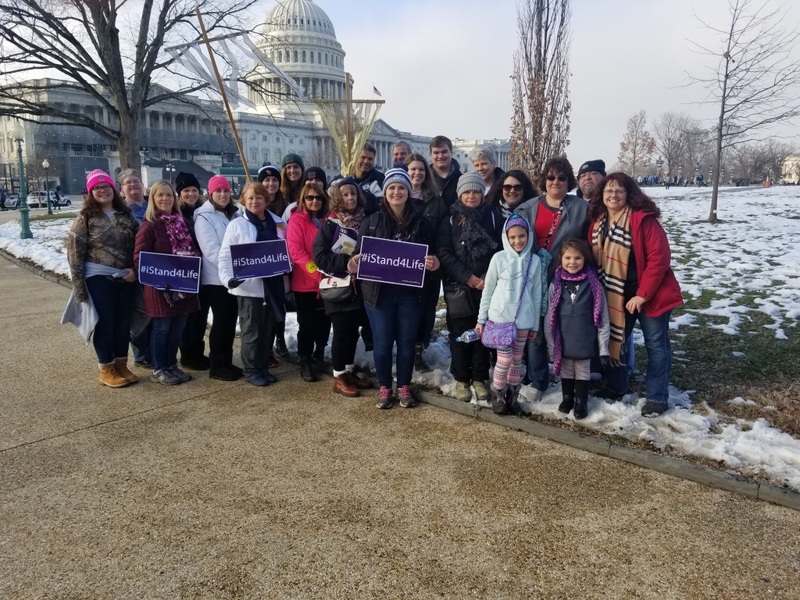 Thank you to all who participated and donated towards the 2019 March for Life in Washington, D.C. We continue to pray that all life is loved. The 2019 March for Life theme is “Unique from Day One.” Choosing life is not always easy, but it is the loving, empowering, and self-sacrificial option. Love is universally attractive because it is directed towards others. Love is what we all strive for because deep-down we are all drawn to give of ourselves in this way. Love saves lives in countless ways. We will be meeting at Big Lots parking lot in Waynesburg, PA, at approximately 1:45AM and Bus will depart for Washington D.C. Dress warm for cold weather & bring money for meals. We will attend a Mass and the March for Life in Washington, D.C. and return to Waynesburg Big Lots Parking Lot at approximately 11:00PM.